The European Commission published a report, in 2011, regarding the level of plastics in the environment and its negative impact on human and marine health. In that article, plastic wastes in the ocean were referred to as a “growing concern,” and the authors stated that even though there was a decrease in plastic production, maintenance of such a situation could be challenging. Plastic was found within a wide range of marine ecosystems, mostly concentrated at the poles and deep-sea trenches, as past studies have confirmed. In a recent paper published by Maes, T. et al., marine litter in the Great North Sea were investigated for the period between 1992-2017. In these 25 years, 65% of the 2,500 trawls (a type of fishing net) used were shown to contain, at least, one plastic item. But, results from this research concluded that trends in plastic bags, specifically, went down. The complete findings are detailed in Science of The Total Environment journal. 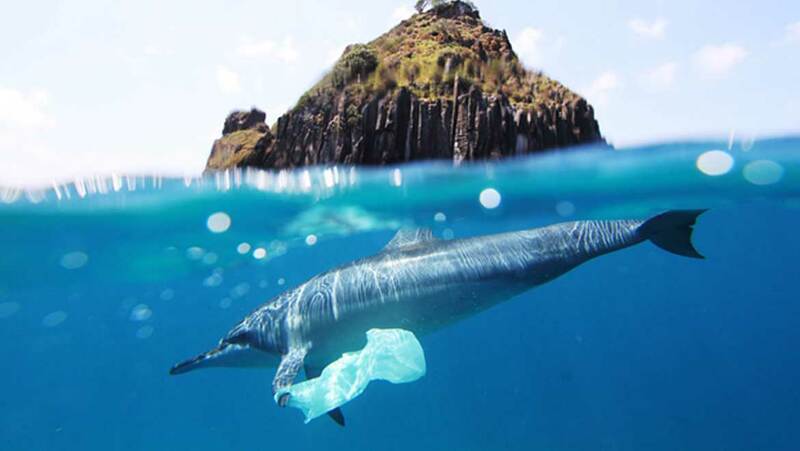 Dr. Thomas Maes, lead author the paper, said, "It is encouraging to see that efforts by all of society, whether the public, industry, NGOs or government to reduce plastic bags are having an effect." Waste disposal policies to reduce polytene bag pollution have shown some success, so far. Similarly, organizations and government divisions could implement programs in order to decrease levels of other plastic litter too, such as bottles and fishing debris. The researchers also suggested that working together to reduce, reuse and recycle could result in the maintenance and further decline of plastic bags in the seafloor. They observed that, since 2010, significant changes in these numbers were seen. The reason for this drastic reduction could lie in the fact that UK PM Theresa May launched an environmental plan, earlier this year, that imposed a charge of 5p for supermarket plastic bags. It has been noted that this cost has led to an 80% drop in shopping plastic bags in England. In fact, scientists at the Centre for Environment, Fisheries and Aquaculture Science (CEFAS) have partly attributed this government policy to the deterioration of plastics covers in the sea as well. Following this implementation, other ministers have incorporated the idea for disposable coffee cups, supported by the Environmental Audit Committee. In January 2018, a survey clarified that more than half of the Britons who took a poll (among 2,500 volunteers) encouraged the 25p levied on drinks sold in disposable cups. The government stated that the number of plastics in the oceans could treble within a few decades. But, with the results of this new research, it looks like, we are heading in the right direction towards tackling waste. As mentioned earlier, it is without a doubt that such stringent rules must be applied to other plastic items too, in order to assure the safety of our marine animals and wildlife.